Rust-Oleum 95012 8"" Flexible Smoothing Tool is a flexible wallpaper smoothing tool ideal for smoothing wallpaper, wallpaper borders and much more. Guides corner trims and can also be used for use as a paint shield. 1x big red squeegee,7.67" x 4.13"
1x medium-hardness blue squeegee,3.93" x 2.95"
Red big squeegee for large surface wrapping and blue squeegee for small area. Ideal for precision cutting of models,art work,wood,cardboard, wallpaper,foil and thin plastic sheets. Lightweight,non-slip aluminum handle make it easier to operate. 5 repaceable blades makes knife lifespan longer. Knife is sharp.Please keep away from baby and children. the blade is held in reverse. You need to use a screwdriver to reinforce the blade before using the scraper. stripping wallpaper, ceramic, adhesive residue, loose paint,vinyl and bathroom tile. Whole length: 10.6inches; Width of the refined blade: 4inches. Weight: approx. 7 ounces, lightweight and convenient touse. which helps you more effective. Long blade for larger areas tosave time and effort. About ORIENTOOLS: "Take the IDEAL, Make the REAL." We strive to put our hundred percent to resolve your issues andtry our best to achieve your satisfaction! HEAVY-DUTY - 4-inch heavy duty refined blade, the sharp blade is more easily to remove stains. SCREW FIXATION - 2 screws holding blade in place for safety purpose. loosen screws and carefully reposition blades so that the razor edge is facing out.tighten screws. PVC-HANDLE- Long handle with non-slip PVC grip for comfortness and control. Stainless steel handle is durable to use, tough with good wearproof and antiskid design. MUTI-USE - Ideal as a Tile Adhesive Scraper for home/hotel decoration, also great for stripping wallpaper, ceramic and vinyl tiles. Can also be used for cleaning floors, glasses and tiles. 1 The small black tape measure can accurately measure the length, width and height of an object. 2 The red big squeegee for large surface can remove the bubbles during installation and blue squeegee for small area. 3 The snitty vinyl cutter can cut safely and accurately. Protect your finger and make vinyl cutting more efficient. 4 The craft knife fits in your hand like a pen, allowing you to hold it safely for optimal control and making agile cuts with ease. 5 repaceable blades make knife lifespan longer. Knife and Replacement blades are sharp.Please keep away from baby and children. No matter you have any questions in the purchases, do not hesitate to contact us, we will have professional customer service one-on-one for your service, until solving your problems. A versatile tool kit Suitable for application of all types of wallpaper application,trimming ceiling,woodwork or baseboard projects,vinyl wrap,window tint or glass film. About the function Black tape measure can measure the length, width and height. 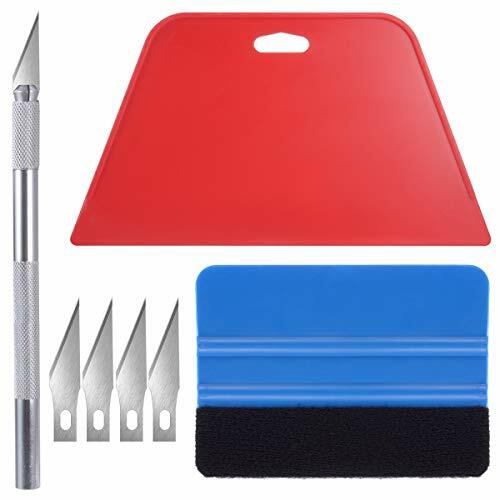 red squeegee and blue squeegee can remove bubbles.snitty vinyl cutter can cut safely and accurately.Craft knife fits precise cutting and 5 repaceable blades make knife lifespan longer. Applicable people This set of tools covers all the necessary tools for installation. Whether you are a novice installer or a professional, you can use it to make your project perfect. Our service No matter you have any questions in the purchases, do not hesitate to contact us, we will have professional customer service one-on-one for your service, until solving your problems. 97501 features: -wallcovering paste brush. -Spread wallcovering and border adhesive. -Handy bucket hook. -Dip right into paste bucket. Generic dimensions: -9.5" H x 6" W x 1" D, 0.33 lb. Dimensions: overall length - end to end: -1 inches. Overall width - side to side: -6 inches. Overall depth - front to back: -9.5 inches. Overall product weight: -0.33 pounds. The blade insertion and removal design allows for quick and easy blade changes. The blade guard helps eliminate exposed blades reducing the risk of lacerations. A detent locks the guard from accidental movement. The blade insertion and removal design keeps fingers away from the sharp edge of the blade during blade changes. The blade tightener knob is used to reduce blade movement. 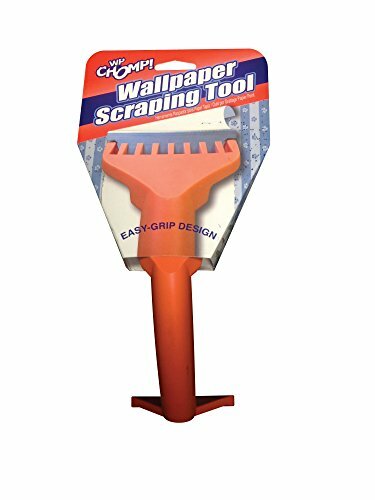 Scraper heads are angled for better performance, greater control and strength, making scraping projects faster and easier. Wallpaper can be a nice aesthetic addition to a wall in your home. But as the times change, more and more houses are switching to bare walls with a basic paint job for a more modern feel. That means that a lot of homeowners have started the grueling process of removing the old and outdated wallpaper. Anyone who has done this in their own home knows how much of a pain it can be without the proper tools. There s no point in adding more work to an already difficult home renovation projects, so why waste your time on cheap products that can only increase your workload? Why not go with a product that make the removal process faster, easier, safer. Our WP Chomp products are an excellent solution to make sure that your walls are ready for paint or covering. Other products talk the talk, Chomp walks the walk! We are committed to excellence in every product we market and being second best is not an option. Actions speak louder than words and we are confident that after trying any of our products, you will find we help make your tough jobs easier. Our mission is to make powerful cleaners safer! PREMIUM BLADE: Our scrapers come complete with a sharpened, dual edge blade. Sharpening the blade on both sides is an extra manufacturing step but makes removal so much quicker. Dual edge sharpened blades dramatically outperform stamped/forged blades. ECONOMICAL: Blades are re-sharpenable and re-placeable, extending the life of the tool. 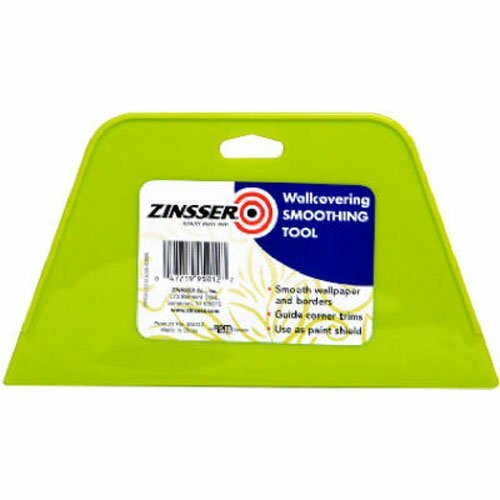 MULTI_PURPOSE TOOL: In addition to wallpaper removal, this tool is ideal for removing paint, putty, adhesives, decals, signs, large stickers, labels, scraping glass, windows, mirrors, tile, walls, floors, and more. DESIGNED RIGHT: The tool is designed with a pre-set blade angle. This pre-set angle helps maintain the proper position on the wall, so the blade can 'skin' the loosened wallpaper and eliminate wall gouges. ECO_FRIENDLY: Made with 100% renewable material. Made in the USA. 98012 Features: -Smoothing brush. -Only light pressure needed. -For smoothing wall covering and also faux finishing prefects. Generic Dimensions: -12" H x 3" W x 0.5" D. Dimensions: Overall Length - End to End: -0.5 Inches. Overall Width - Side to Side: -3 Inches. Overall Depth - Front to Back: -12 Inches. Overall Product Weight: -0.46 Pounds. Applicable scope: ordinary wallpaper, thickened wallpaper, non-woven fabrics, fabric cloth wallpaper,old foil wallpaper and other special materials. Applicable scope: ordinary wallpaper Roller Tool, thickened wallpaper Seam Roller Metal, non-woven fabrics, fabric cloth wallpaper tool,old foil wallpaper and other special materials. The product is 23" Straight Edge Tool. Easy to use. The product is manufactured in China. 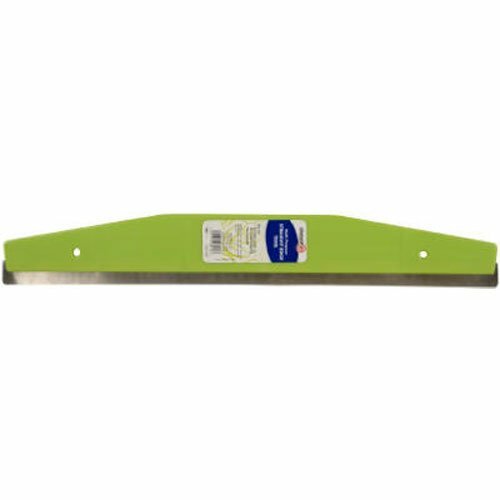 The product is 4"MP Scraper Replacement Blade. Easy to use. The product is manufactured in United States. Keep your wrenches in one place! Chrome-plated steel rings stay locked until you squeeze them. 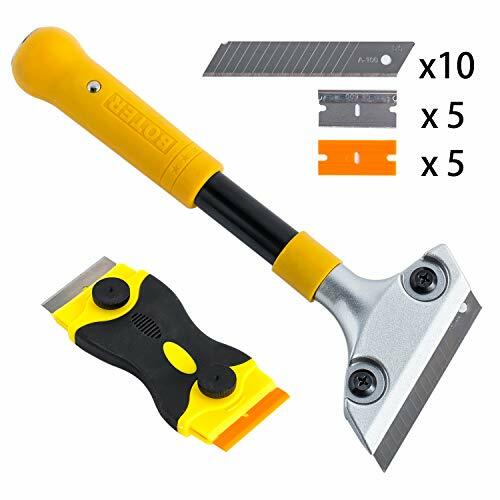 Heavy Duty 4-inch Razor Blade Scraper with Long-Handle, Wallpaper Painting Stripping Tools, Cleaning Glass Wall Scraper, Floor Tile Adhesive Removal, with Mini Razor Scraper Tool. Width of the refined blade: 4inches. The body fit's pretty nicely in your hand allowing you some great control. The big tool was perfect for he larger surfaces, Long blade for larger areas to save time and effort. the little tool for the smaller details. It's such an added bonus having both the plastic blade and the metal blade on the mini razor scraper. 1.Firstly, spray water to soften the stains. 2.Secondly, wipe the surface with a wet cloth gently. 3.Thirdly, scratch it with plastic/steel blade of the scraper. LONG HANDLE HEAVY DUTY - 4-inch heavy duty refined blade, the sharp blade is more easily to remove stains. The floor scraper tool is made of durable plastic and steel with solid construction. 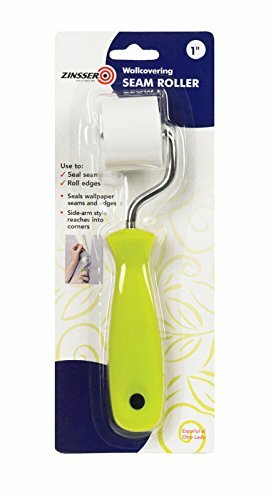 Also the non-slip grip handle makes scraping projects faster and easier. FEATURES - There are 2 screws holding blade in place for safety purpose. The clamping screws can be loosened by screwdriver, and also can reinforce the blade with screwdriver, so that it is convenient to take out and change blades easily and safely. MULTI-Functional - Ideal as a Tile Adhesive Scraper for home/ hotel/ office/ factory decoration, also great for removing paint, vinyl, wall decals, signs, large stickers, glue, stripping wallpaper, ceramic and vinyl tiles. Can also be used for cleaning floors, glasses and tiles. It makes cleaning work more labor-saving and greatly save your working time and so on. SAFE TO USE - For your safety, the sharp blade features a thin razor edge, when not use, the wallpaper shaver is protected by a anti-cut protective cover to avoid scraping objects or hurting people. And about the Mini Razor Scraper, Safety Cap Makes for Easy and Safe Storage. OUR COMMITMENT - Please won't hesitation to contact us about any issues, we will strive to put our one hundred percent to resolve your issues and try our best to achieve your satisfaction! 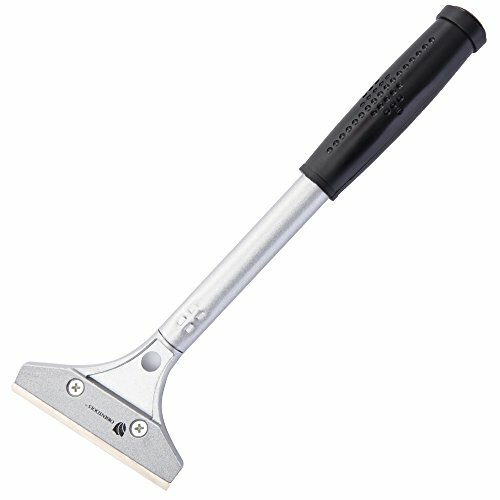 Hyde Tools 33100 Multi-Purpose Wallpaper Shaver/Scraper, 3-1/4 in W Die-Cast Blade Tubular Metal Handle 3-1/4"
Use to shave off wallpaper as well as scrape paint and stickers off glass. Die-cast head holds 3-1/4 inch replaceable blade at angle. Tubular metal handle. Cushioned foam hand grip. Tool measures 11 inch overall.. wallpaper shavers.. 11 in. O.A. Length - Carded.. blade width - 3.25 in.. 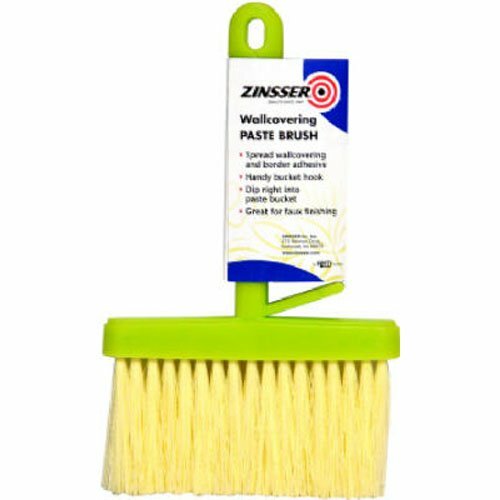 The wire brushes can be used to remove paint, grime and scale and are most appropriate for work on steel and iron work pieces, but may also be used on wood, aluminum, brass and copper. They each have a comfortable handle grip and are safe for use with solvents. 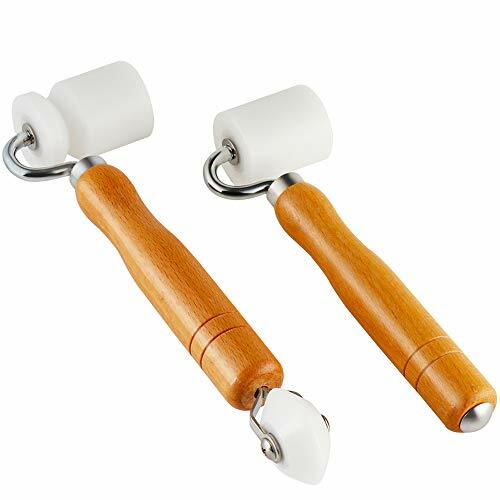 45mm single fork silicone seam roller and 6mm brass detail roller with smooth ball bearings and ergonomic wooden handle for maximum pressure. The classic design silicone roller has been engineered to require less grip pressure by the operator to achieve the same result, amazing how much engineering thought process goes into producing what might seem the simplest of things.Brass detail roller is a great for detail work in tight angles and corners, and for seaming around fixtures.Combo seam roller provides convenience when two different seaming tools are needed. Ideal for producing a constant pressure on applications like single ply roofing membrane welding, and for applying pressure to join seam tapes and other pressure sensitive accessories to flat sections of the EPDM rubber roofing membrane, civil engineering/ geomembrane welding projects and technical textiles/ industrial fabrics applications such as banner welding, commercial vehicle side curtains, boat covers and tarpaulin or marquee repair.Professional audio automotive insulation car sound deadening , saddle making, leather work, window tinting, glue joints and more! The Neiko 00885A Retractable Razor Scraper comes with 2 0.02-inch razor blades and 1 plastic scraper. Effectively removes adhesive items from surfaces like wood, plastic, metal, glass, ceramics, and more. 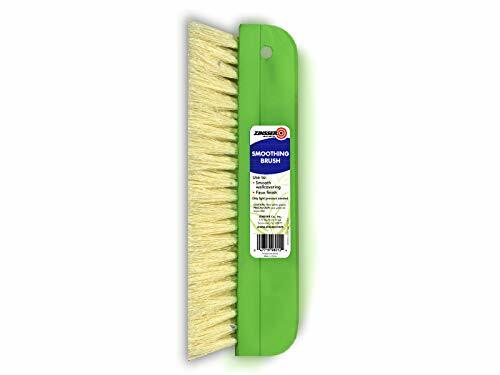 Non-marring plastic scraper effectively removes away stickers, decals, and other adhesives from glass, wood, and windshields, also great for cleaning glass, ceramic, and induction stovetops or cooktops. 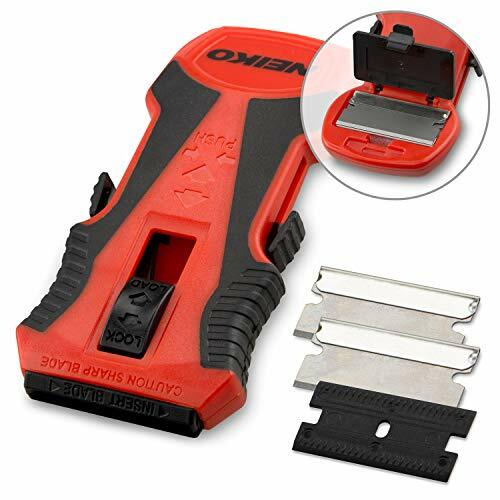 Folding seam tester is a seam testing tool that can easily and safely be stored in your pocket or attach to your belt by using the belt clip. 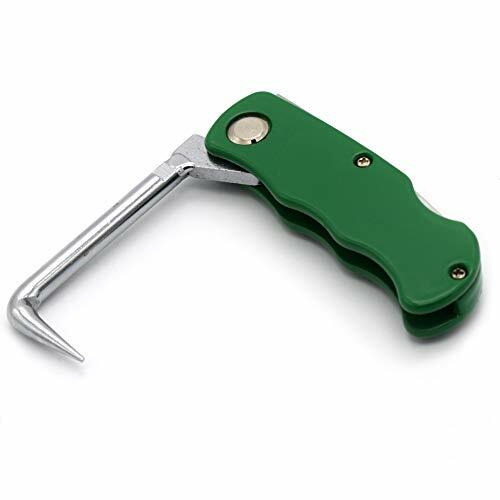 It has a aluminum alloy plated, hardened steel hook that locks in place when opened and folds into the handle when it closes. The strong handle has finger grips and a non-rollaway shape for to stay in your hand safely. Folding seam tester fully extends to 7" in length with the heat-treated steel extension being 3" long. Our versatile tool kit is made of high quality eco-friendly material, fits for for a novice installer or a professional to make the project such as wallpaper application, trimming ceiling, woodwork or baseboard projects, vinyl wrap, window tint or glass film. 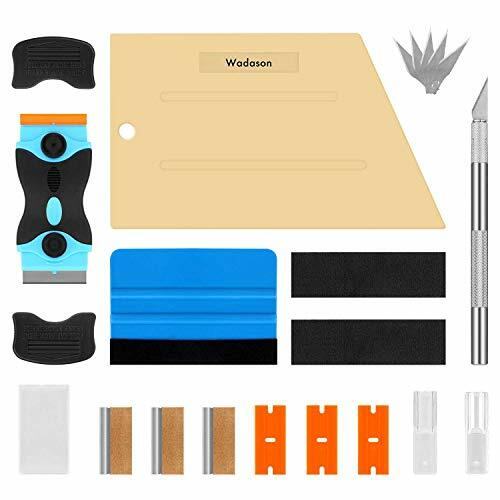 Our wallpaper smoothing tool kit is including craft art knife with 10 replaceable blades, red and blue squeegee, cutting knife and sponge, which fits for different needs. The craft knife fits precise cutting, it combines with 10 replaceable blades to make it use long time. The red big squeegee for large surface can remove the bubbles during installation and blue squeegee for small area. The vinyl cutter can cut safely and accurately, which can protect your finger and make vinyl cutting more efficient. The sponge is made with nanotechnology, making it with good water absorption and water lock. The sponge can also be used in other applications where cleaning is required, such as kitchens, washrooms or living rooms, etc., which can deeply clean stains. It is very easy to clean, that just need to be cleaned with water and detergent, then naturally dried. 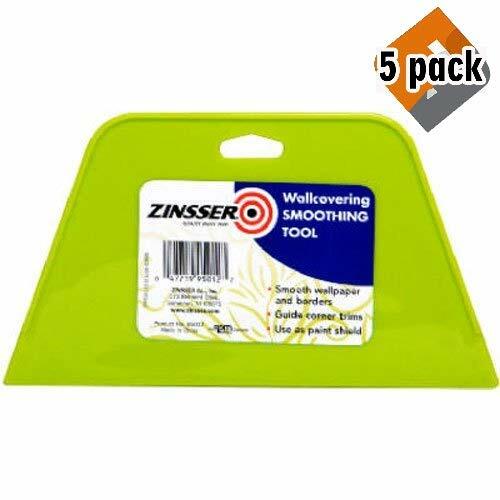 The wallpaper smoothing tool kit is perfect for wallpaper application, trimming ceiling, woodwork, vinyl wrap, window tint or glass film, etc. Due to the brightness difference among monitors, it will be a slight color difference. The knife is sharp. Please keep away from baby and children. . If there are any problems of the wallpaper smoothing tool kit, please feel free to contact us, we will do our best to deal with it. 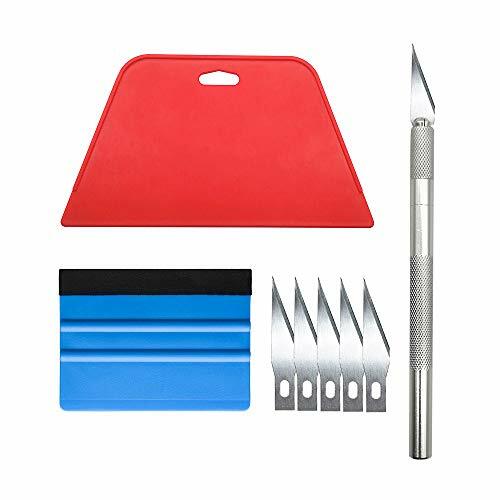 Versatile Wallpaper Smoothing Tool Kit This multi-function tool kit is including craft art knife with 10 replaceable blades, red and blue squeegee, vinyl cutter and sponge, which is perfect for wallpaper application, trimming ceiling, woodwork, vinyl wrap, window tint or glass film, etc. Environmentally Friendly & Durable A combination of larger and thicker, wear-resistant, non-deformable red squeegee and eco-friendly and thick smooth edge blue squeegee, the wallpaper tools are suitable for large-area wallpaper, making it protect the scraper while also protecting the wallpaper and extend the scraper life. Safe & Practical The vinyl cutter can be used to cut the wallpaper, which is very convenient and safe. The water absorption and lock ability sponge can be used to clean walls or windows after finishing the pasting wallpaper or glass film. It is a very convenient and practical tool set. Wide Applications The craft knife with 10 replaceable blades fits precise cutting, making knife lifespan longer. Our versatile tool kit covers all the necessary tools for installation that fit for a novice installer or a professional to make the project perfect, which is great for wallpaper application, woodwork, vinyl wrap, window tint or glass film. 100% Money Back Guaranty and Satisfaction We offer 30-day money-back service for any quality issues. Any dissatisfaction with the wallpaper smoothing tool kit within that period will be responded with a refund or a replacement. Please don't hesitate to contact us if you have any question. Wallpaper Smoothing Tool Kit: All you need in one package! Removing residual wallpaper, sticker and decal etc. Applying wallpaper, contact paper, window films, craft vinyl etc. Notice: Please pay attention to prevent blade from scratching anybody. Utility Wallpaper Tools Kit : 1 big size smoother squeegee, 1 anti-scratch squeegee with 2 replacement felts. 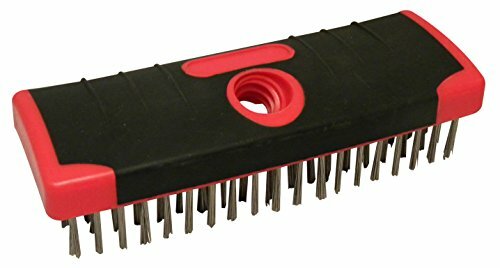 1 dual razor blades scraper with 6 replacement blades. 1 craft knife with 5 replacement blades. 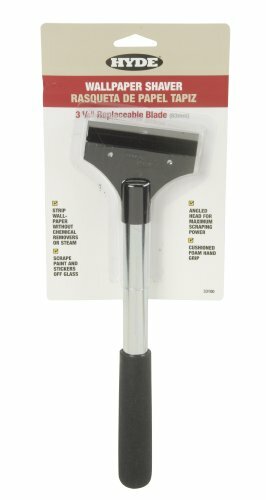 8 inch scraper is great for smoothing wallpaper, eliminating bubbles and creases, trimming at ceiling, adhesive films on counters and inside cabinets, contact paper, window film. And also repairing wallpaper seams. 4 inch scraper with fabric felt is perfect for all vinyl applications and won't scratch during installation. Extra felts can apply to other squeegees and scrapers. 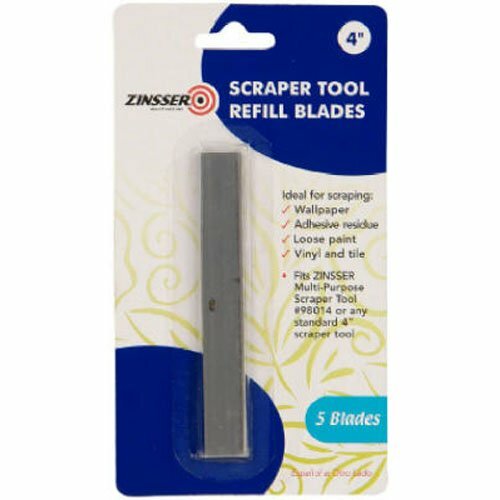 Dual razor blades scraper is great to remove sticker, decal, adhesive residue on both delicate and rough surfaces. Extra 6 replacement blades guarantee long term use. Craft knife can easily cut wallpaper, fabric, plastic and even do carving job. Safety cap to protect the blade and storage. 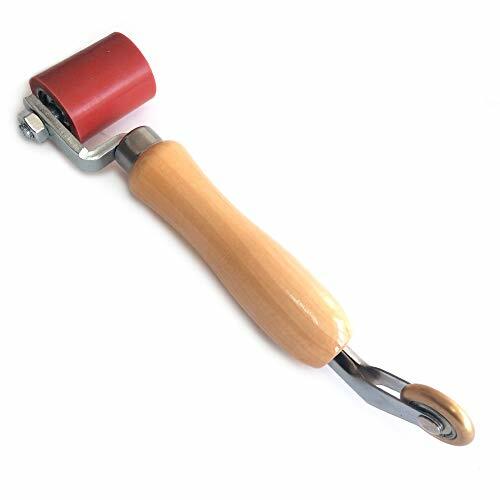 This Tool Is Suitable for House DIY Wall Patin Painting, Wallpaper Seam helper tool,or use as car sound deadening/deadener roller. Made form Pom and Wood,The Handle Feels Comfortable and Smooth While Is Not Slippery. Using It Gently and It Will Not Cause Damage To Wallpaper and Can Make Wallpaper Stick More Firmly. Ideal to seal down Wallpaper seams, corners, border edges & smooth Out air Bubbles on Wallpaper, side arm style reaches into corners. Easily secure hard to reach corner angle and edge with unique internal & external corner . 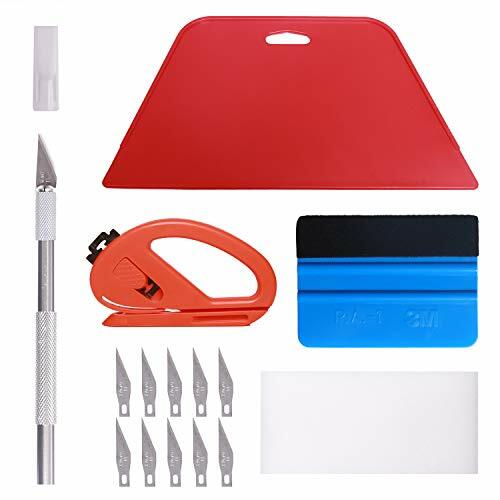 A set of professional tool kit for DIY wrappers, help you on wallpaper application, trimming ceiling, woodwork or baseboard projects,vinyl wrap, window tint or glass film. Red squeegee tool with big size smooths out creases and bubbles. Size: 4.13 inches on the top and sizes, 7.67 inches on the bottom. 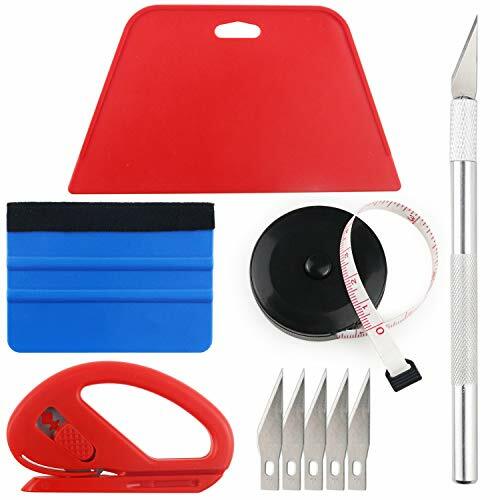 Package include: 1 Red squeegee tool, 1 Medium-Hardness blue squeegee, 1 Knife with extra 4 blades. Material Lightweight,ultra soft could keep you warm all day but stay cool,fashionable and beautiful. Occasion: Daily wear, summer vocation, Christmas, dates, sports, school, working, street wear,etc. Easy to pair with boots, jeans, skinny leggings for a trendy look in spring, autumn and winter. Clothes perfect to match you favorite jeans,pants etc. Clothing care: low temperature hand wash / machine wash, do not bleach, avoid exposure, hanging to dry. Kindly note size details vary among different colors. Please check product description for more size information. Material: Polyester. The fabric is in good comfortable, smooth texture and elasticity. Good Price for high quality.A must-have dress in your wardrobe. Suitable for Spring and summer, fits for beach, vacation, holiday, outdoor, party, wedding, cockail, club, prom, dating, evening, school, workout, casual, work, travel and daily life. Summer dress for women, juniors, ladies, teen girls, you can wear the shirt dress separately, or with leggings, jeans or tights. Casual loose dress, sundress, make it easy to dress up with wedges and a delicate necklace to make every day feel like you're on vacation! Widely used in removing debris, glue, stickers, labels, decals from counter tops, appliances, metal, glass, plastic, granite, decals, paint, glass stovetops, tape, cooktop, wallpaper, car stickers from windows, mirrors, tiles etc., perfect for delicate surfaces. Blade Replaceable /Portable and lightweight/Great for scraping in hard to reach places. We inspect every finished product before it got packed. Strict quality control system is applied to our whole production line. We ship out the ordered parcels within Amazon requested time, will try our best to save your waiting time for the products. We will always be here to answer your questions and solve your problems. If you need further assistance, please do not hesitate to contact us first. 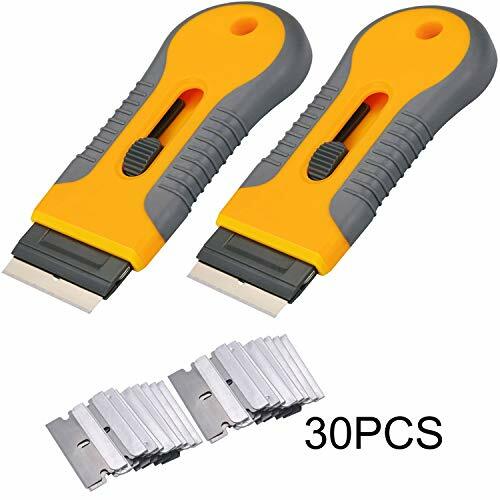 Quickly Scraping Difficult Objects Proven Double Edged Plastic Razor Blades Razor Design To Get Under The Stickers Edge And Enough Gripping Power To Take Off Stickers Or Difficult Stuck Without Any Scratches. Ergonomic Design It Is Very Easy To Grip With The Rubberized Handle, Not Made Of Plastic. No Slippage Or Retracting Of The Blade When It Is Used Aggressively. 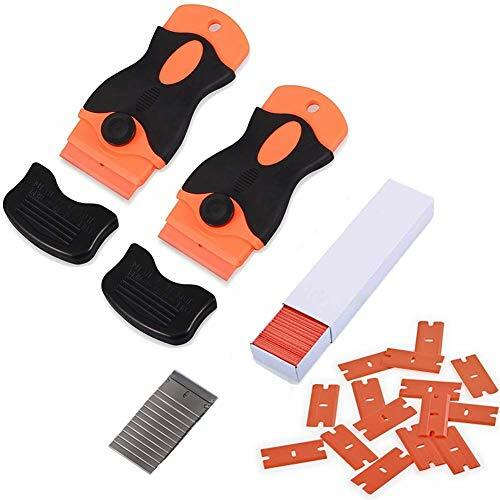 Material:Plastic,Light weight.Flexible To Fit The Surfaces And Protect Them From Being Scraped.Package Include: 2PCS Scraper And 100PCS Plastic Blades. Buy it Risk-Free We will do everything we can to ensure you are COMPLETELY satisfied with your purchase. Refunds , exchanges and all. You are Guaranteed to be happy.